The Federal Communications Commission plans to publish a report on Wednesday that will purportedly reveal whether internet service providers are providing the broadband speeds they claim they are. FCC Chairman Ajit Pai published a cheesy Thanksgiving blog post on Tuesday. Mixed in with some quaint dad jokes and various other announcements, Pai mentions that the FCC is releasing a “Communications Marketplace Report” that includes information on broadband speed. CNET reports that the report will be released publicly on Wednesday. A spokesperson for the FCC confirmed to Gizmodo that the report will be released tomorrow. The FCC published a similar report—the Measuring Broadband America Report—in recent years but did not publish one in 2017. Ars Technica reported on Monday that former FCC authorities have blasted Pai for failing release a 2017 report. The FCC has long been required by law to submit a variety of reports to Congress. Each of these reports used to be issued as separate documents and at different times, making it hard for elected officials and the public to track everything down. To streamline these reports into a single document providing a comprehensive evaluation of the state of the communications marketplace in the United States, Congress, in the RAY BAUM’S Act of 2018, required the FCC to craft every two years what we are calling our Communications Marketplace Report. The draft report I’m circulating for my colleagues’ consideration consolidates many of the reports that the Commission had been previously required to produce. For the first time, the Report places essential information about mobile wireless, video, audio, wireline broadband, voice telephony, satellite, broadband deployment, and international broadband all in one place. The blog also states that the FCC plans to raise rural broadband speed to a speed comparable to what customers can get in cities. As Ars Technica points, out the FCC gives more than $1.5 billion a year to carriers like CenturyLink and AT&T so that they will provide broadband in rural areas. But if the companies take that Connect America Fund money, they are required to provide network speed of 1Mbps for uploads and 10Mbps for downloads. The FCC made that stipulation in 2014, despite complaints from carriers. 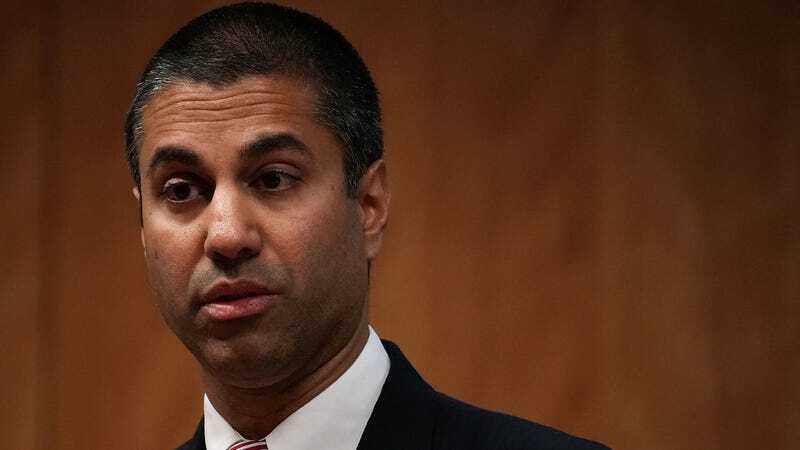 Those carriers may protest again, as Pai stated today that he is going to propose raising the minimum to 3Mbps for uploads and 25Mbps for downloads. Pai writes that the FCC will make an offer for carriers a “ guaranteed revenue stream for a decade” if they agree to meet “specified buildout requirements” of their new proposal. So if you live in a rural area and the report shows that your broadband speed is as abysmal as you think it is—at least there might be some improvement in the near future. Update November 21, 2:00pm EST: Here it is!